FIGURE 4.46. Small spiders (D. A. Crossley, Jr., photo). FIGURE 4.47. Rabidosa rabida (Lycosidae). such as Jackman (1997) should not be overlooked, nor should information currently available on the World Wide Web. Sampling methods for spiders run the gamut from Tullgren extraction to hand collection, sorting of litter samples, and pitfall trapping. Spiders have complex behavioral patterns including mating rituals and defense of territories. Wolf spiders may wander some distance between forest, meadow, and agroecosystem (Draney, 1997), so that assessment of population size may become complicated. Little is known about the ecology of the smaller soil- and litterdwelling spiders (Linyphiidae and relatives). Most information about spiders comes from studies of web-spinning species or the jumping spiders (Attidae) in vegetation (Foelix, 1996). There are large numbers of small spiders in deciduous forest leaf litter (about 100 per square meter). Their habitat usage and prey selection are not well known. Spiders in laboratory microcosms show some prey selectivity, but leaf litter spiders doubtless feed more opportunistically. A number of spider species are ant mimics (Foelix, 1996). These species copy the body shapes and coloring of ants, and move in an antlike manner. The spider's front legs are elongated and thin, and mimic the antennae of the ant. The significance of this mimicry is not known, but it is suspected to confer some protection from predation by birds. Spiders that live together with ants seldom prey upon the ants (Jackson and Willey, 1994). The impact of spiders on their ecosystems is not well known. Their effectiveness as biological control agents has been discounted because of their slow reproduction. As noted above, spiders are strongly territorial, with complicated mating rituals—adaptations that tend to hold down population sizes even when prey is abundant (Wise, 1993). In woodland forest floors, the large number of spiders argues that they must have an impact on the insect population there. In contrast, numbers of spiders in agricultural soils seem lower (Draney, 1997). In an experimental study, Lawrence and Wise (2000) found a "top-down" effect of spiders on litter decomposition rates. When spiders were removed from experimental areas of a forest floor, collembolan populations increased. Subsequently, straw in litterbags decomposed more rapidly in those areas. These results suggest that spider predation may reduce collembola populations enough to lower rates of litter disappearance on the forest floor. Harvestmen (Opiliones) are delicate, shy forms that are among the largest arachnids in woodlands. Their bodies are small but their legs may be unusually long, suggesting that their habitat is litter surface or exposed areas. Smaller, shorter-legged forms inhabit loose leaf litter or small spaces (Edgar, 1990). Others are inhabitants of caves, and have reduced eyes and reduced pigmentation (Goodnight and Goodnight, 1960). Opilionids have no venom glands yet are considered to be largely predaceous. 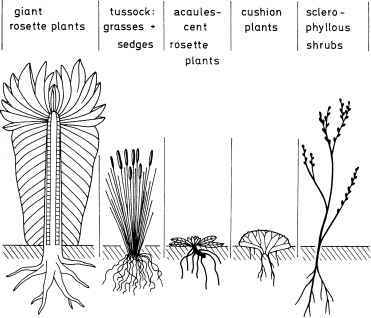 Some species occur high in foliage, others in subcanopy, some on soil surface, and some (smaller forms) in litter layers. Opilion-ids are slow reproducers, usually with one generation per year. They are active predators in the daylight but seem to be primarily crepuscular (active dawn and dusk). They possess repugnatorial glands, the secretion of which is offensive to predators (Blum and Edgar, 1971). Opilionids (Opilio means "a shepherd" in Latin) resemble the mites in that the cephalothorax (prosoma) and abdomen (opisthosoma) are broadly fused, so that the body is oval. They differ superficially from the mites in that opilionids have 6-10 segments in their abdomen; mites have none. Of course, they are larger than mites as well. Edgar (1990) provides a key to genera and species of North American Opiliones (exclusive of Mexico). Solifugae, or solpugids, are desert arachnids with large distinctive curved chelicerae, often as long as the cephalothorax (Fig. 4.48). They are ferocious predators capable of rapid movement. Common names include sun-spiders, false-spiders, wind-spiders, or wind-scorpions (in recognition of their rapid movement), or camel-spiders, among other names. The term "camel spider" refers to a prominent arch-shaped plate on the prosoma (Punzo, 1998). (They do not run down camels and eat their stomachs, a rumor circulated among troops during the recent war in Iraq.) Solifugae occur in tropical and temperate deserts worldwide. Most species of Solifugae are nocturnal predators, emerging from relatively permanent burrows to feed upon a variety of arthropods. They do not have poison glands. They are generalist predators and attack a wide variety of arthropods, as well as small lizards, birds, and mammals (Punzo, 1998). 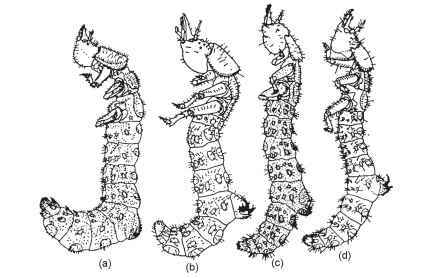 In North American deserts, immature stages of solpugids feed extensively on termites (Muma, 1966). FIGURE 4.48. 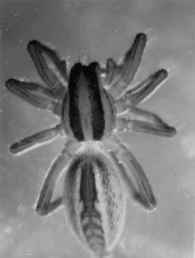 Solpugid, or camel spider (from Punzo, 1998). tive long, whiplike tail has no stinger. 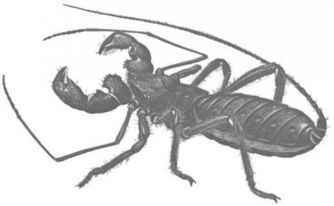 When disturbed, the arachnid emits acetic acid from a gland at the base of the tail, giving rise to the common name "vinegaroon." Uropygids are nocturnal predators, utilizing natural retreats or burrowing into sand. They have poor vision and depend upon vibrations to locate their prey. major winged insect orders—the Coleoptera (beetles), Lepidoptera (butterflies and moths), Hymenoptera (bees, wasps and ants), and Diptera (flies)—include soil-dwelling species. The Isoptera (termites) are essentially soil insects and are saprophages. The Homoptera (aphids, cicadas), Orthoptera (grasshoppers and crickets), and minor orders such as the Dermaptera (earwigs) contain soil-dwelling species or life history stages. Indeed, of the 26 pterygote insect orders, all but seven contain at least some species that are involved in soil food webs in one way or another (Greenslade, 1985). Space does not permit us to review thoroughly these extensive and important groups, or to discuss all species groups that impact soils or soil food webs. We refer the reader to a textbook of entomology, such as Rosomer and Stoffolano (1994) or Borror et al. (1989), and to field guides such as that of White (1983) for aids in identification and basic biology of these groups. We can offer only a very superficial treatment of the higher insects. Nevertheless, this group includes important species that are root feeders, predators, and modifiers of soil structure—animals that the soil ecologist can hardly ignore. 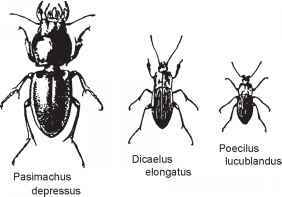 Beetles, the largest order of insects, have soil species that are predatory, phytophagous, or saprovores. Some are permanent residents, others are temporary, and many are transient members of soil food webs. Beetles are particularly abundant in tropical ecosystems, where many species remain to be named. For identification of beetles to family see White's (1983) guide. Dillon and Dillon (1961) is an invaluable, well-illustrated manual for eastern North America. 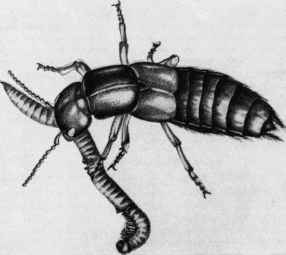 The Carabidae (Fig. 4.50), the ground beetles, are among the more familiar insects caught in pitfall traps or active on the soil surface of agroecosystems (Purvis and Fadl, 2002). Harpalus pennsylvanicus is frequently caught in pitfall traps. Some members of the genus ingest seeds but most are predators. Larval stages are euedaphic and may be sampled with Tullgren extraction. Adults and larval stages of Calosoma sycophonta, the searcher, climb trees in search of prey. 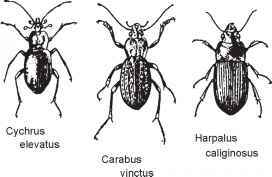 Bell (1990) provides a taxonomic key to adults and larvae of Carabidae. Darkling beetles, family Tenebrionidae (Fig. 4.51), are abundant in desert ecosystems; their habits are similar to those of the carabid beetles. Most of them are scavengers or saprophytic on decaying vegetation (White, 1983). Adults are surface active whereas larvae are euedaphic. FIGURE 4.50. Illustrations of ground beetle species in the family Carabidae (Lutz, 1948). FIGURE 4.51. Tenebrionidae dorsal view of Alobates sp. (false mealworm) 20-23mm (from Arnett, 1993). Pitfall traps catch large numbers of desert tenebrionids in the springtime, when adults emerge from the pupal stage. The larvae resemble wireworms (larvae of elaterid beetles) and are called "false wireworms." They are considered to be saprovores (Crawford, 1990). Rove beetles (Staphylinidae) are a large family of common, distinctive species (Fig. 4.52), often caught in pitfall traps. Most species appear to be predaceous (both larvae and adults) but a few are saprophagous. The adults are agile runners on the soil surface. Frequently, the tip of the abdomen is turned up as they scurry along the ground. They are attracted to decaying vegetation or carrion (Dillon and Dillon, 1961). Most species have well-developed wings and can fly, but wing reduction is usual in euedaphic species. 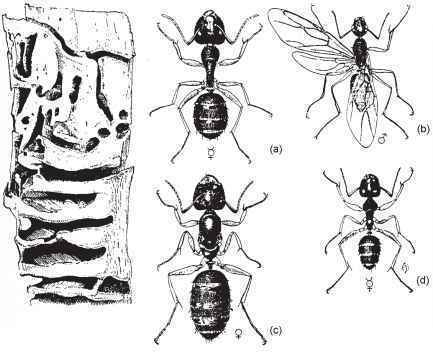 Keys to adults and larval stages of soil inhabiting genera of Staphylinidae are provided by Newton (1990). Scarab beetles (Scarabaeidae) (Fig. 4.53) are members of a large family of beetles, some colorful or metallic green, sometimes multicolored, often brown or black. Males may have horns on the head or pronotum. FIGURE 4.52. A predaceous staphylinid beetle (Staphylinus badipes) attacking a millipede (Ophyiulus pilosus) (Snider, 1984). roll it to a burial site, and deposit an egg in it. The sacred scarab of ancient Egypt is a member of this group (Tashiro, 1990). Some scarab beetles are important due to their role in hastening the decay of dung of large animals. In Australia, where there was no native coprophagous fauna, dung from domestic animals accumulated, fouling pastures and immobilizing nutrients (Gillard, 1967). Tiger beetles (Cicindellidae) are predators whose larvae dig pits where they sit and wait for prey (Fig. 4.54). Adults are rapid runners and fliers, often pouncing suddenly on their prey. Conspicuous on the soil surface in open, sunlit areas, adult tiger beetles are usually iridescent green or blue. Wireworms (larvae of the family Elateridae) are significant root feeders in forests and agroecosystems, where they can be destructive to certain crops. Tan to brown, wireworms are slender and have a hard covering on their bodies. Adult elaterids are called "click beetles" because of their ability to snap the hinge between pro- and mesothorax. If the insect is on its back, it can right itself by snapping and projecting itself into the air, turning over repeatedly in the process (Dillon and Dillon, 1961). Adult elaterids are occasionally captured in pitfall traps. Beetles, as a group, bridge the gap between mesofauna and macro-fauna. They are of more economic importance for their phytophagous activities above ground than for their participation in soil food webs. FIGURE 4.53. 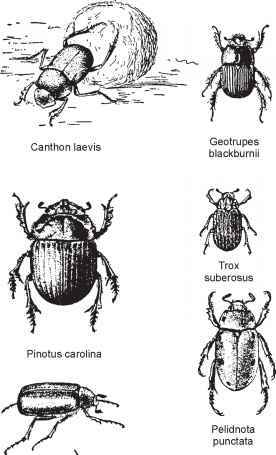 Some scarabaeid beetles: Canthos laevis, a tumble-bug with a ball of dung in which an egg is laid; Geotrupes blackburnii and Pinotus carolina, also dung beetles. Trox suberosus lays eggs in carrion. Larvae of Pelidnota punctata live in decaying oak or hickory stumps. The J-shaped larvae of Phyllophaga species feed upon roots of plants (Lutz, 1948). FIGURE 4.54. Larvae of tiger beetles, family Cicindelidae. (a) Amblychila cylindriformis; (b) Omus californicus; (c) Tetracha carolina; (d) Cicindela limbalis. The predaceous larvae lie in wait in vertical burrows with their heads flush with the soil surface, and held in place by hooks on the hump protruding from the fifth abdominal segment (from Frost, 1942). The predatory activities of beetles are especially significant in agricultural systems because they prey on pest species of insects. Beetles are important agents in the reduction of dung and animal carcasses, and in the early stages of wood decomposition on the forest floor (Wallwork, 1982; Hanula, 1995). The order Hymenoptera is one of the largest orders of insects. It contains two groups of soil insects of large importance: ants (Fig. 4.55) and ground-dwelling wasps (Fig. 4.56). 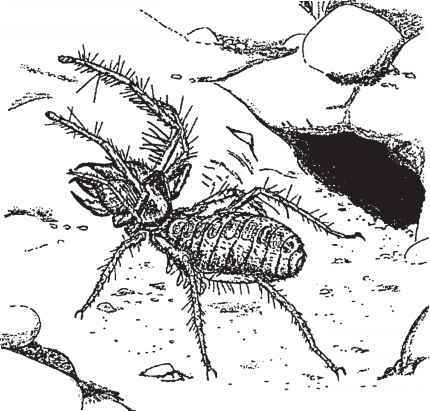 The Formicidae, the ants, are probably the most significant family of soil insects, due to the very large influence they have on soil structure. Bees and wasps, other hymenopteran insects, also impact soils because they may nest there. The ants are in a category by themselves. FIGURE 4.55. Carpenter ants and their galleries in deadwood. Shown are a large neuter worker (a), a winged male (b), a wingless female (c), and a small neuter worker (d) (from Henderson, 1952). third of the animal biomass of the Amazonian rain forest is composed entirely of ants and termites, with each hectare containing in excess of 8 million ants and 1 million termites (Holldobler and Wilson, 1990). Furthermore, ants are social insects, living in colonies with several castes (Fig. 4.55). Ants have a large impact on their ecosystems. They are major predators of small invertebrates (including oribatid mites) (E. O. Wilson, personal communication). Their activities reduce the abundance of other predators such as spiders and carabid beetles (Wilson, 1987). Ants are "ecosystem engineers," moving large volumes of soil as much as earthworms do (Holldobler and Wilson, 1990). Ant influences on soil structure are particularly important in deserts (Table 4.9) (Whitford, 2000), where earthworm densities are low. TABLE 4.9. Estimated Quantities of Soila Brought to the Surface by Desert Ants and Termites During the Construction of Feeding Galleries and Nest Chambers, and in Nest Repair.